When you’re looking to raise some money to support your college sports team, youth organization, or non-profit group, what fundraising ideas typically come to mind? We’re assuming the classics like bake sales, yard sales, or candy sales. While those are all great, how about going for something a bit more tummy-tingling? 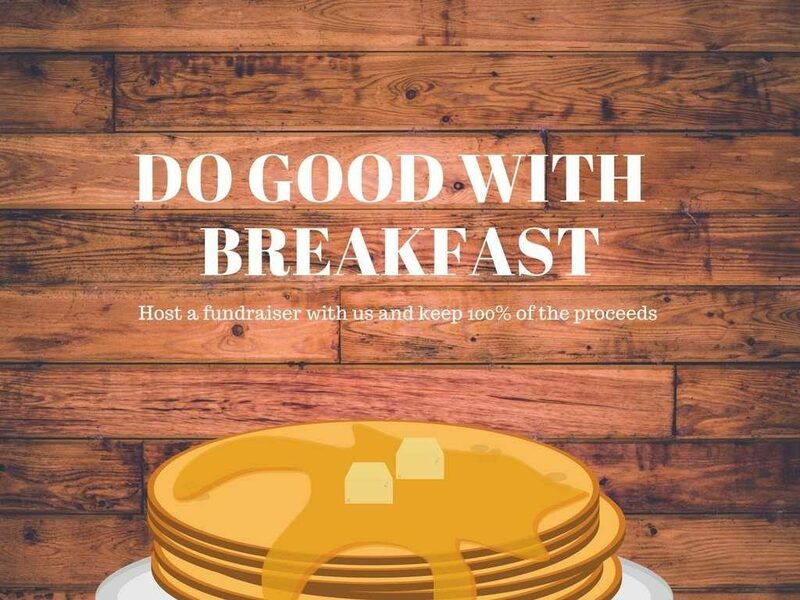 You can have a Breakfast for Dinner fundraiser at Chip’s and raise a ton of money toward your cause! Here’s how it works. Our Breakfast for Dinner fundraisers can be used to support K-12 schools, youth groups, university groups, and non-profit organizations. If you’re interested in hosting a fundraiser with us, you must first apply on our website and provide us with some information. You’re limited to one fundraiser with us per every 12 months. It’s important to note that applying doesn’t guarantee you the event, so you shouldn’t promote anything until we give you the confirmation. A PDF flyer to promote the event. PDF files of tickets to sell. Yes, tickets! We give you a number of tickets to sell to those who want to participate in the fundraiser. They’ll show those tickets to your greeter once they arrive at the event and that helps ensure your guests get their meal and that the guest is at the correct seating time. The best part about those tickets? You keep 100% of the proceeds! To ensure we can serve all your guests, we provide you with three separate seating times throughout the night. Each seating time can have 60 people in attendance, for a grand total of 180 guests at your fundraiser. Are you ready to raise money with Chip’s? Head over to our website and fill out the fundraiser application!